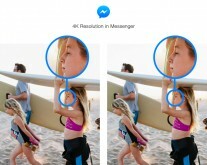 Facebook Messenger has announced that it has raised the resolution of photos that are delivered to recipients. 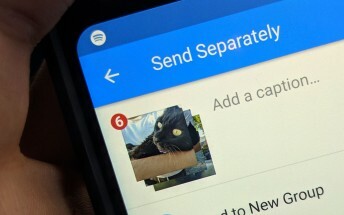 If you didn’t know it, messaging apps like Facebook Messenger, Telegram, and Whatsapp all apply some kind of compression before photos reach the person they are being sent to. 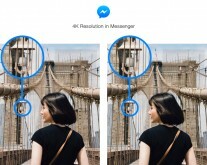 The resolution on Facebook Messenger has been “2K” for a while - or 2048 x 2048 pixels. A new update will allow you to send photos at up to 4096 x 4096 pixels. Many smartphones these days use 12MP cameras, whose longest dimension is between 4000 and 4048 pixels long. So if you send photos from an iPhone X, Pixel 2, or Samsung Galaxy S8 or Note8, your recipient should get them at full resolution. Facebook also mentions the photos will be sent “just ask quickly as before”, so there must be some new kind of file size reduction at play. 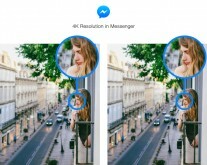 The higher resolution images (which Facebook calls “4K images”) is now rolling out on iPhone and Android to users in the US, Canada, France, Australia, the UK, Singapore, Hong Kong, Japan, and South Korea. Facebook will continue rolling out 4K images to additional countries “in the coming weeks”.